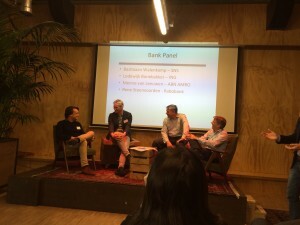 On Friday November 13th FIRES engaged with bankers and startups to discuss ways in which the financial sector can facilitate entrepreneurship at The New Dutch, organised by Holland Fintech in Volkshotel, Amsterdam. The day was opened by his royal majesty Prins Constantijn and featured all Dutch major banks (ABN, Rabobank, ING and SNS) as well as a panel of ambitious young startups. Our main take away from the discussion is that banks with high leverage ratios and providing essential public infrastructure cannot adequ ately address the (funding) needs of volatile, risky and experimental startups without rethinking their business model. The central question for banks is: what kind of bank do I want to be. Universal banks will have a hard time combining the provision of stable, reliable financial services to mass consumer markets under strict regulation and moving with the rapid developments and quickly changing needs of startups. 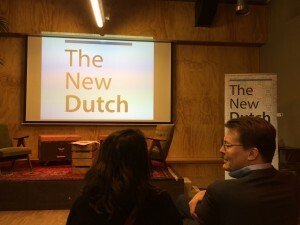 A challenge not only for Dutch banks, but relevant for entrepreneurial ecosystems across Europe.